Material: PPGI/PPGL sheet with PE foam having one sided aluminium foil. With a firm commitment of supplying an optimum quality items, we are producing a broad range of FRP Roofing Sheet. Moreover, the complete range is verified on different parameters ahead of final dispatch to make certain a perfect series is supplied at customer’s doorsteps within the defined period of time frame. The offered items are appreciated for strong and sturdy construction in nature. 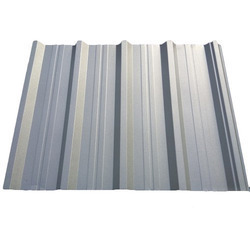 Supported by years of experience and knowledge of this domain, we have established ourselves as one of the top notch supplier of Roofing Sheet. 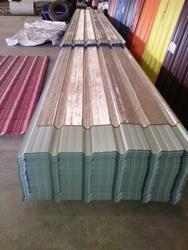 The offered roofing sheet is ideal for warehousing facility and go-downs. We are one of the most reliable companies in this domain and are into offering Hispan Roof Sheet.